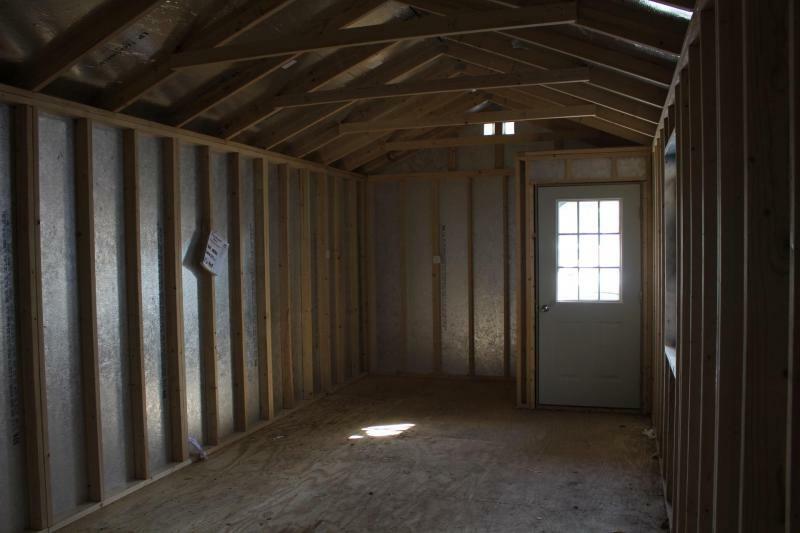 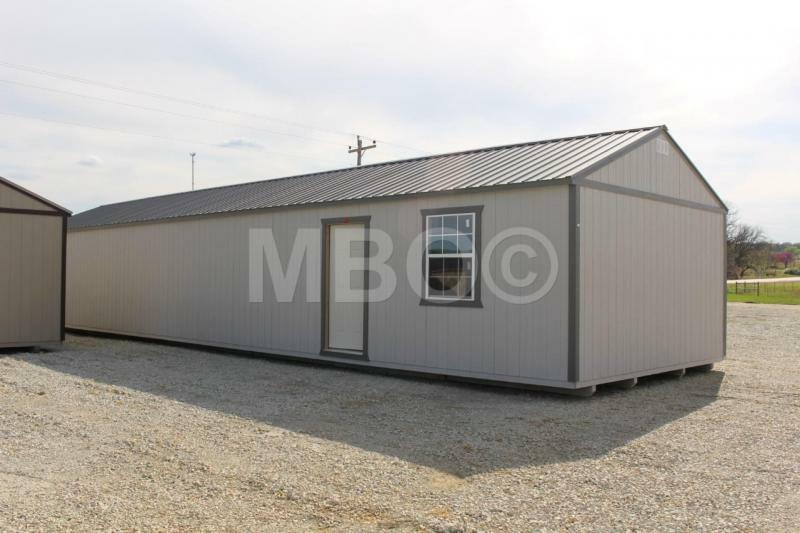 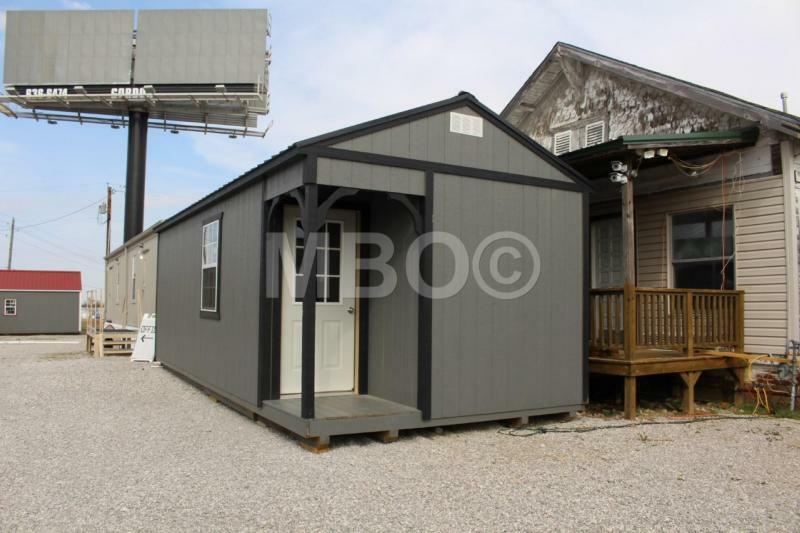 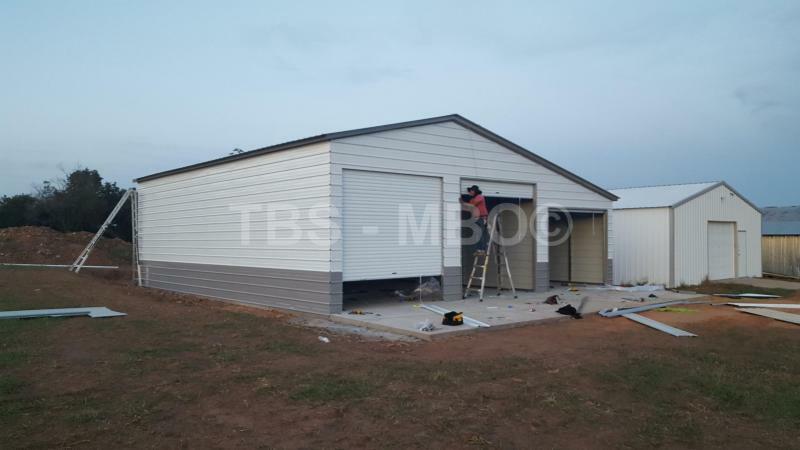 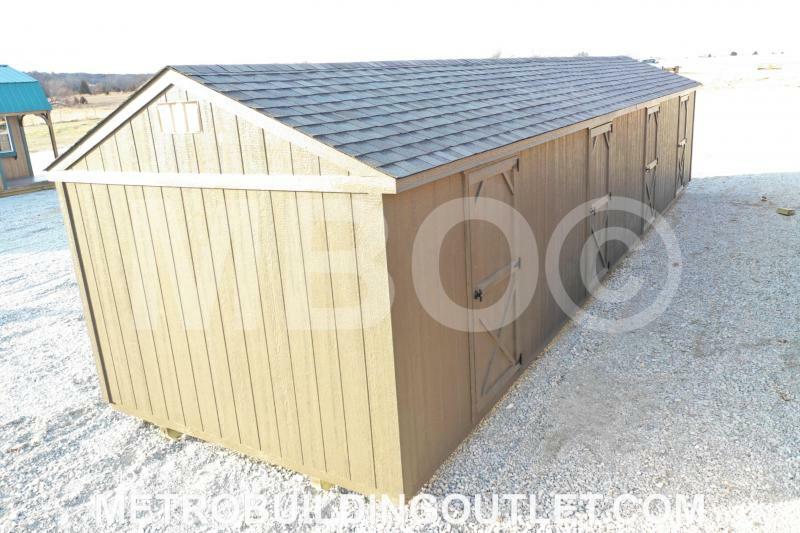 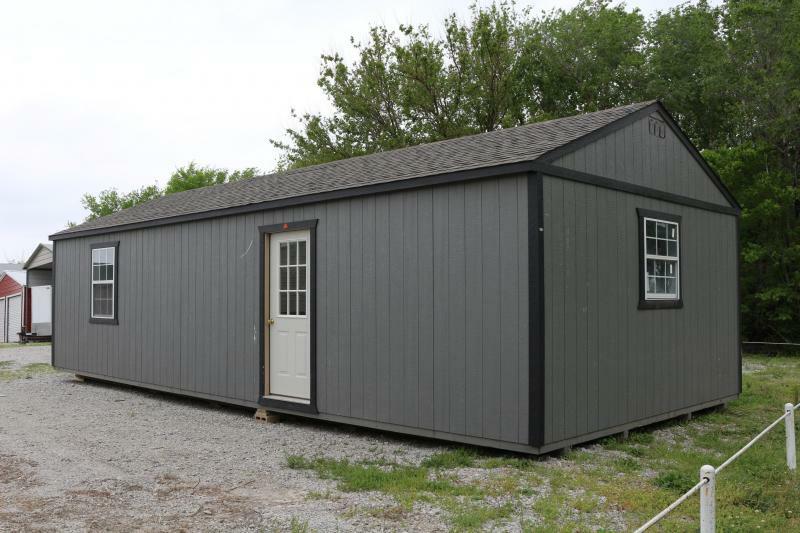 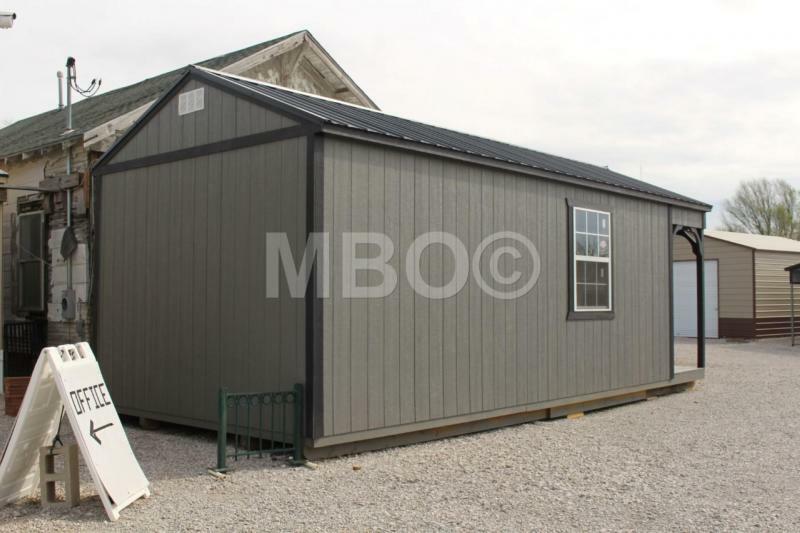 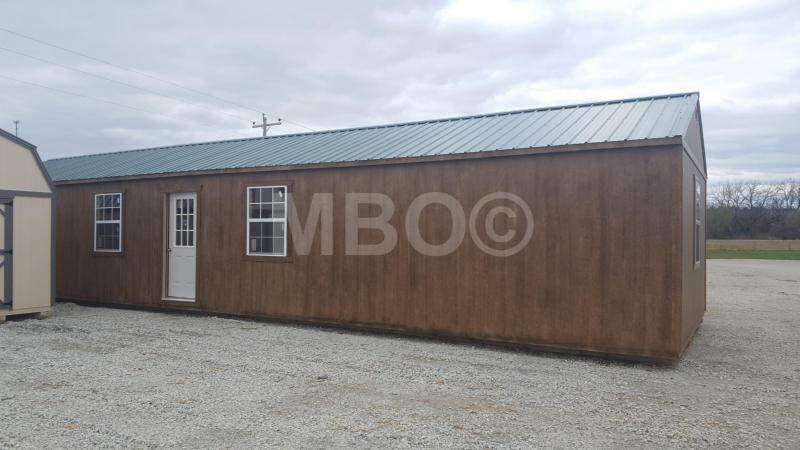 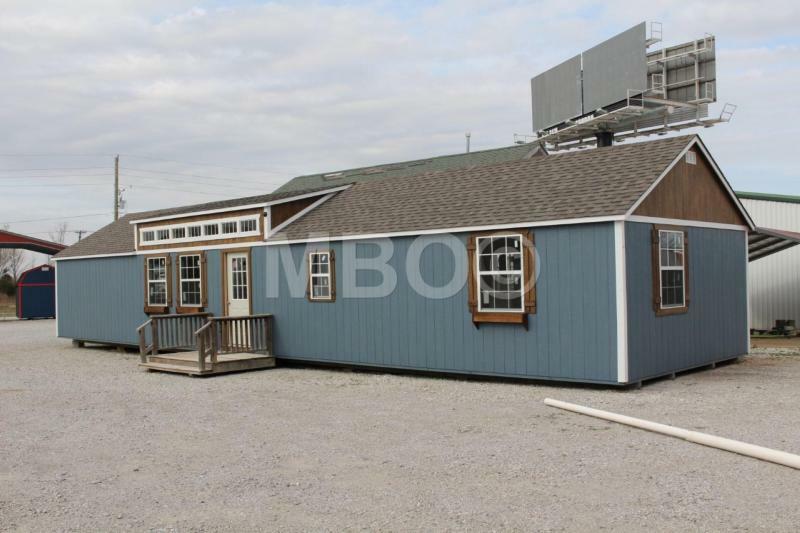 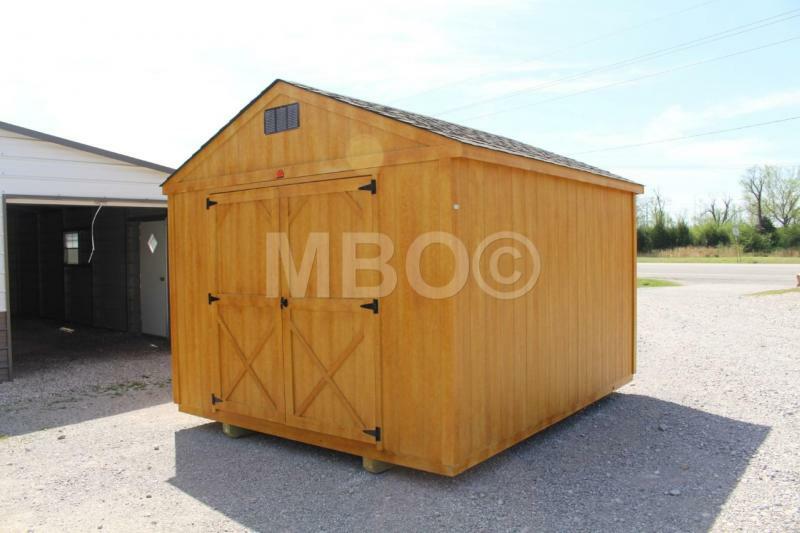 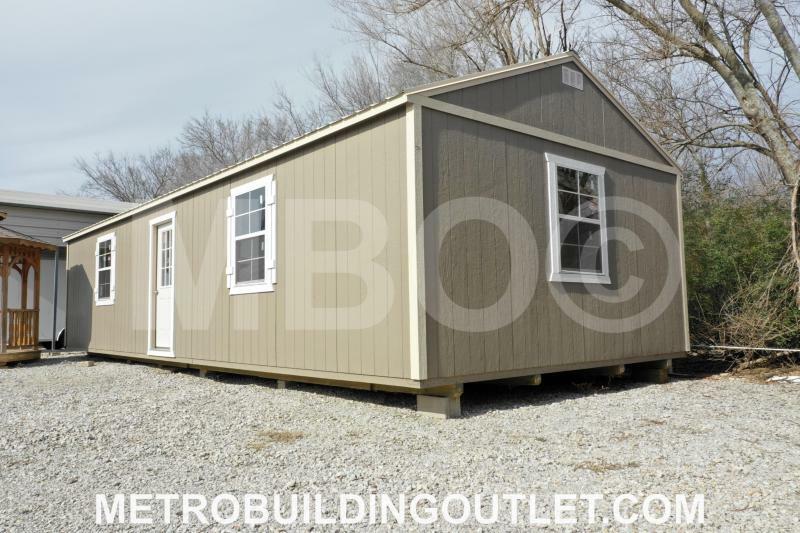 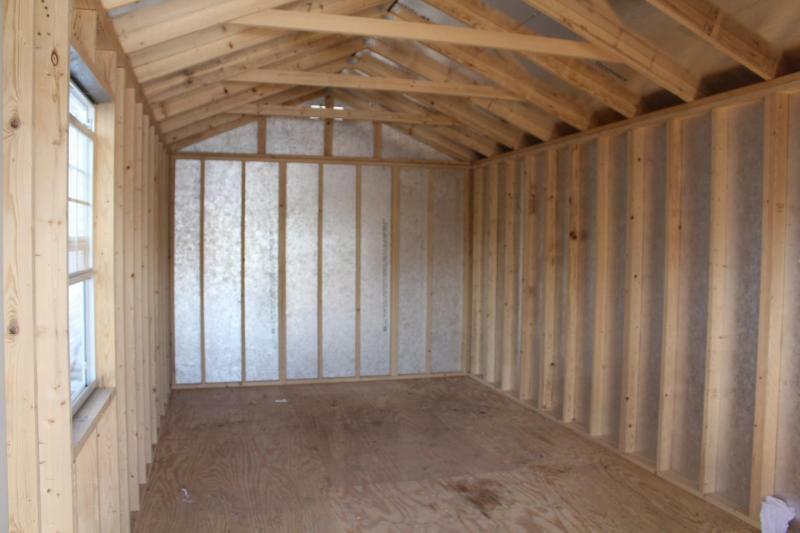 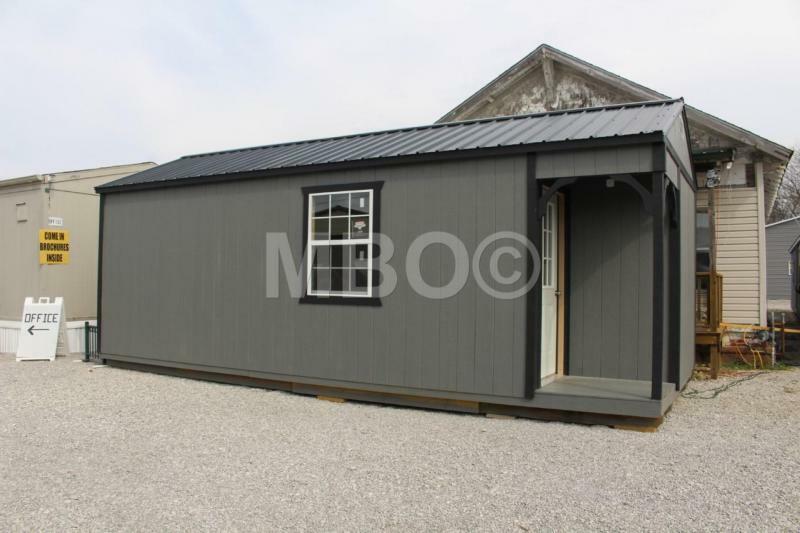 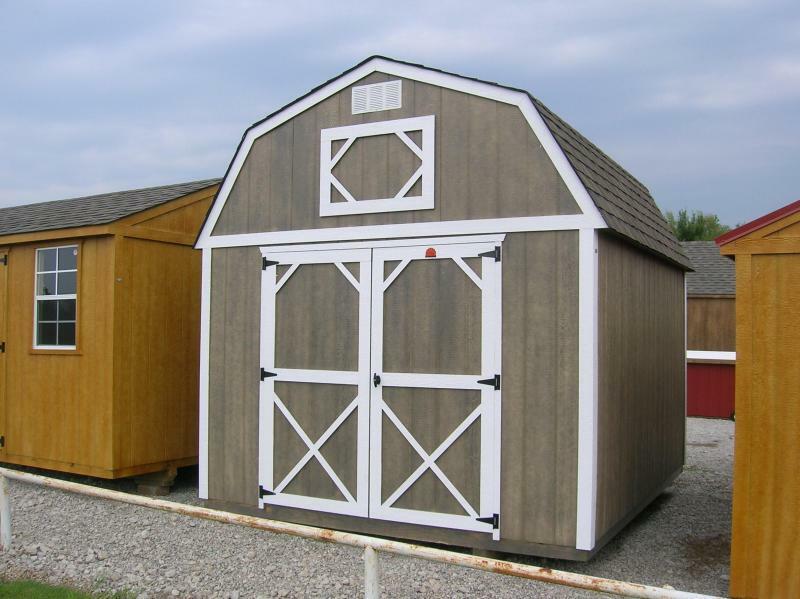 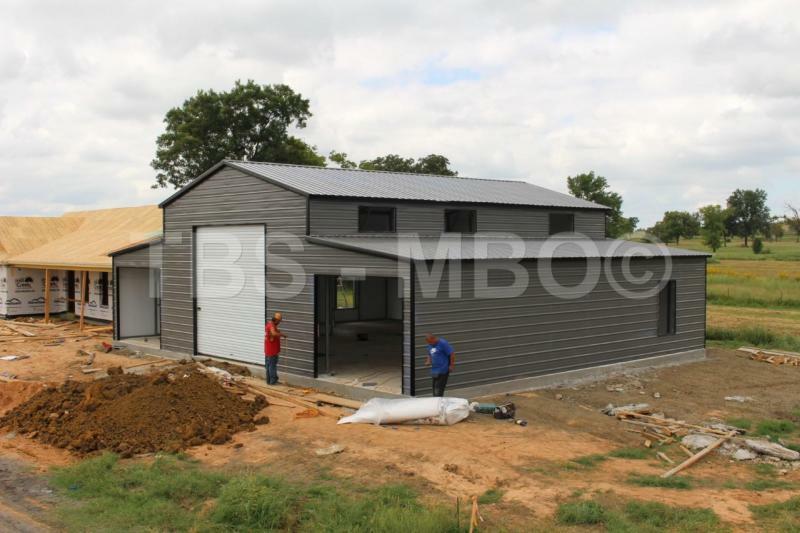 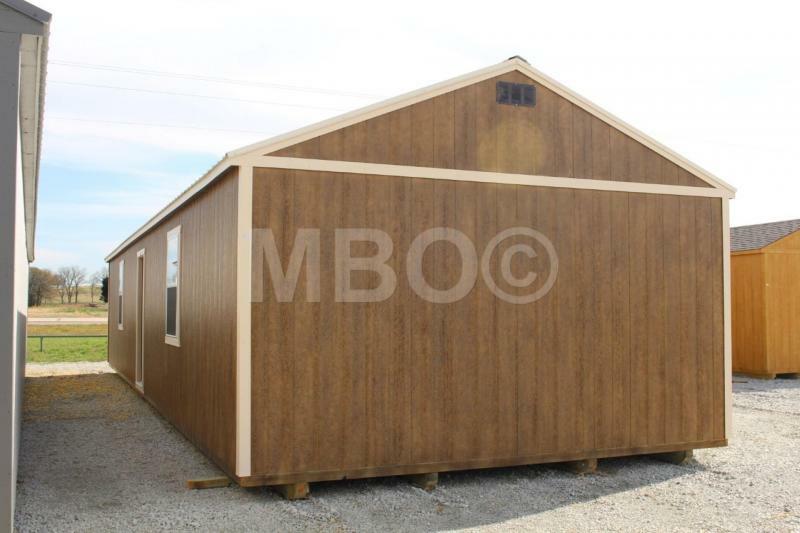 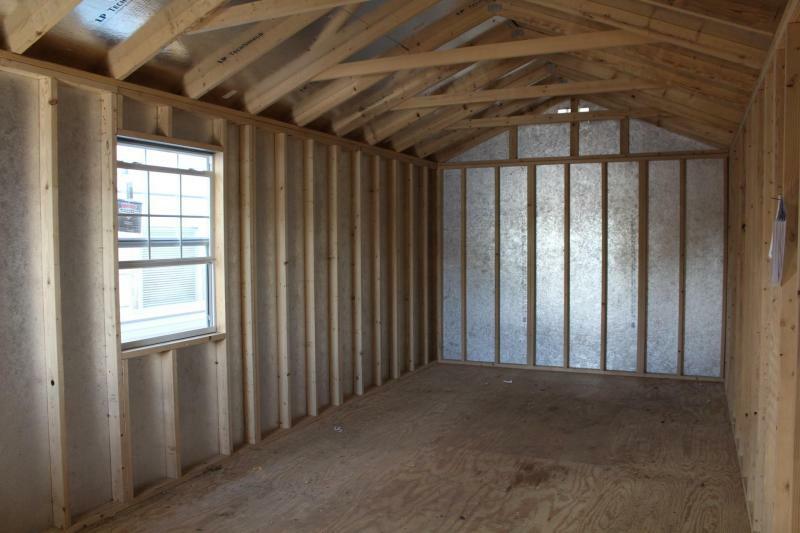 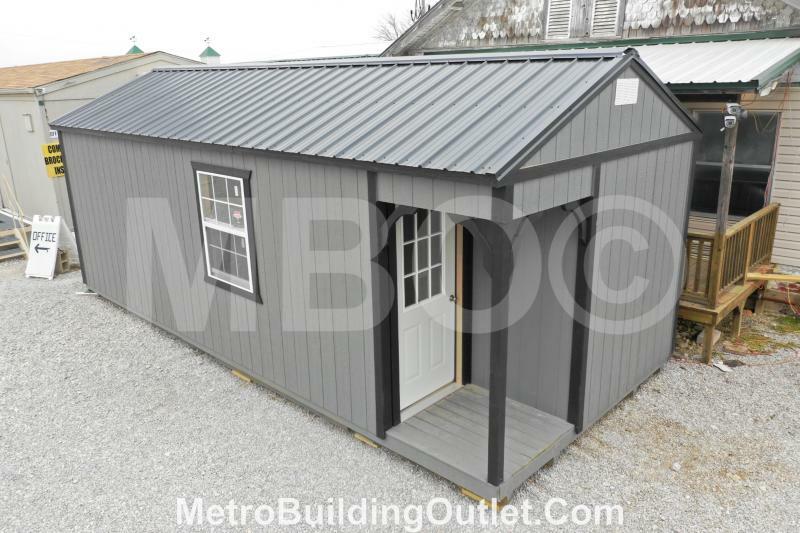 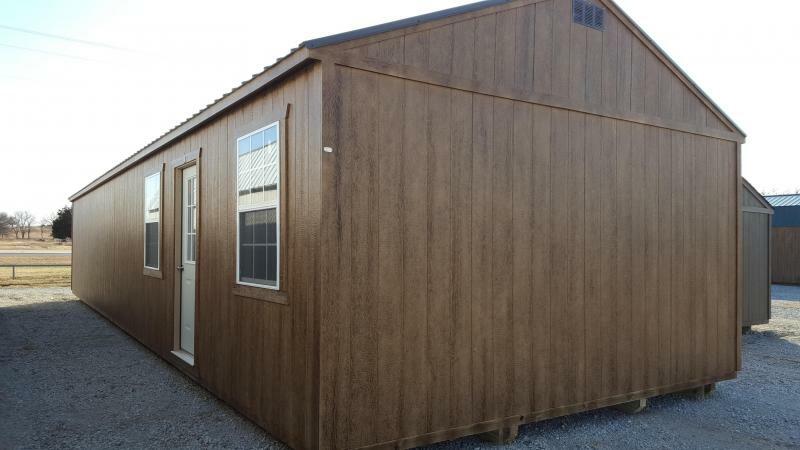 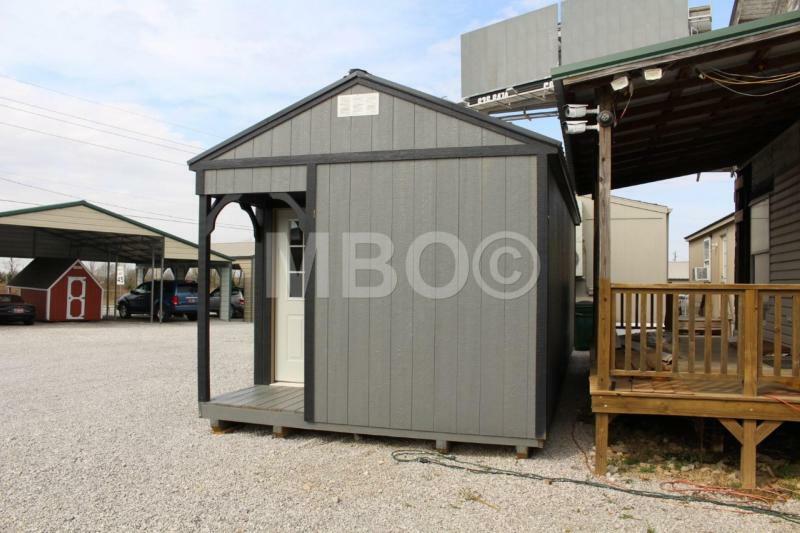 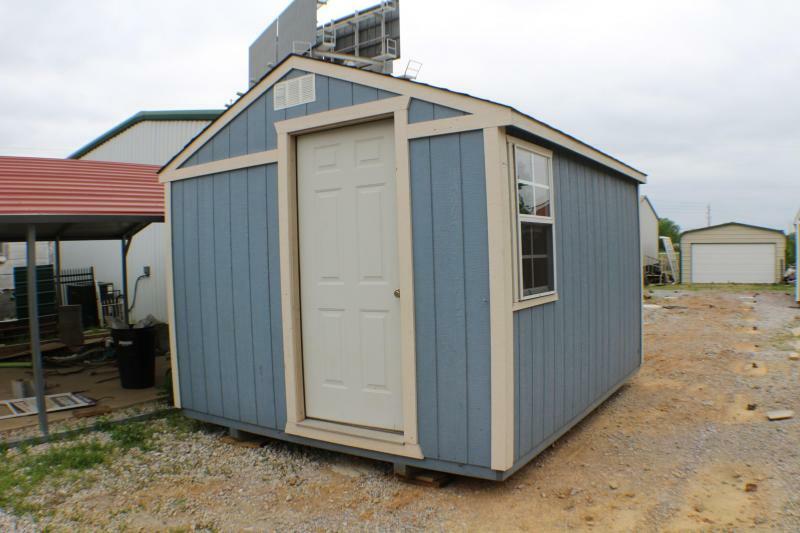 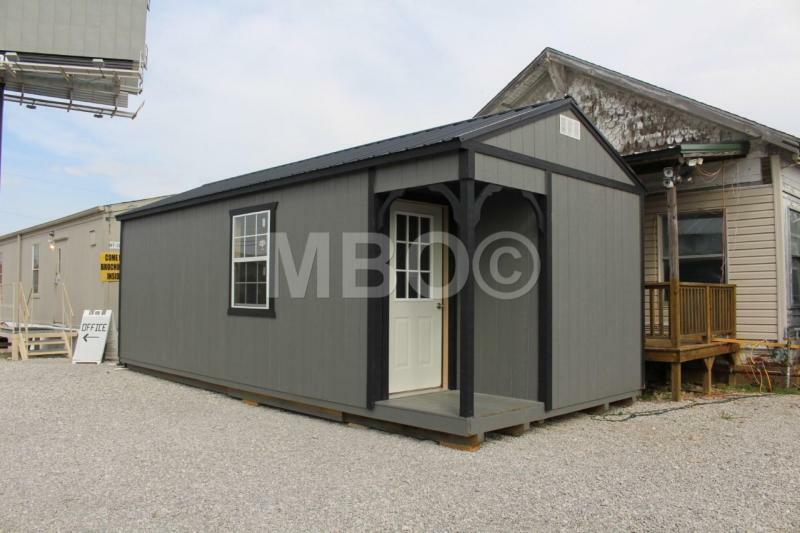 12X26 UTILITY CABIN WITH 4X4 FRONT PORCH, FRAMED IN 2X4S AND BEAUTIFUL PAINTED LOUISIANA PACIFIC SMARTSIDE. 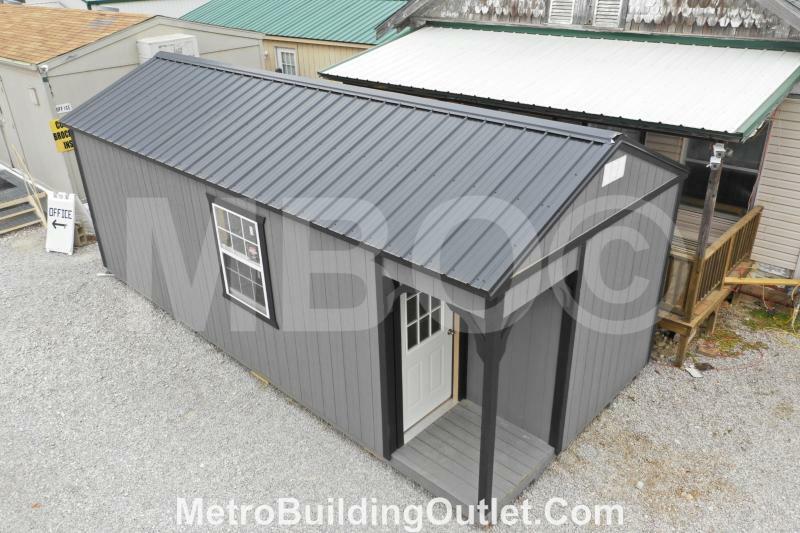 METAL ROOF, 8 FOOT SIDE WALLS. 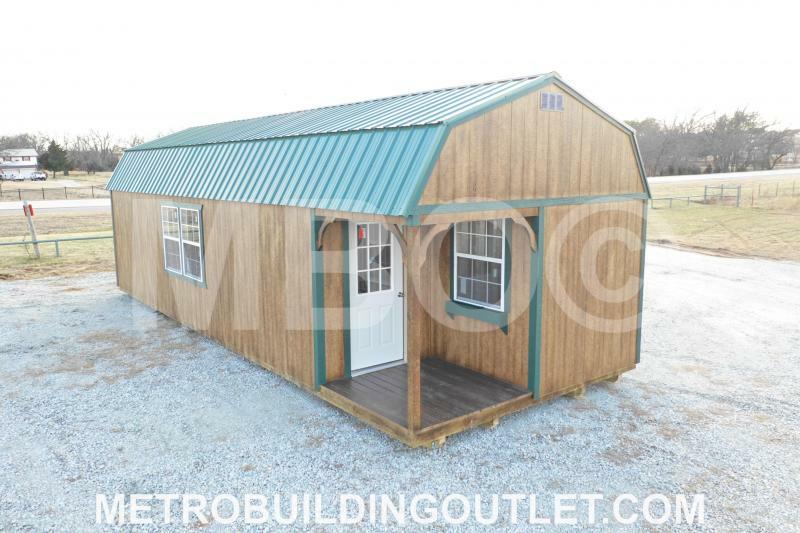 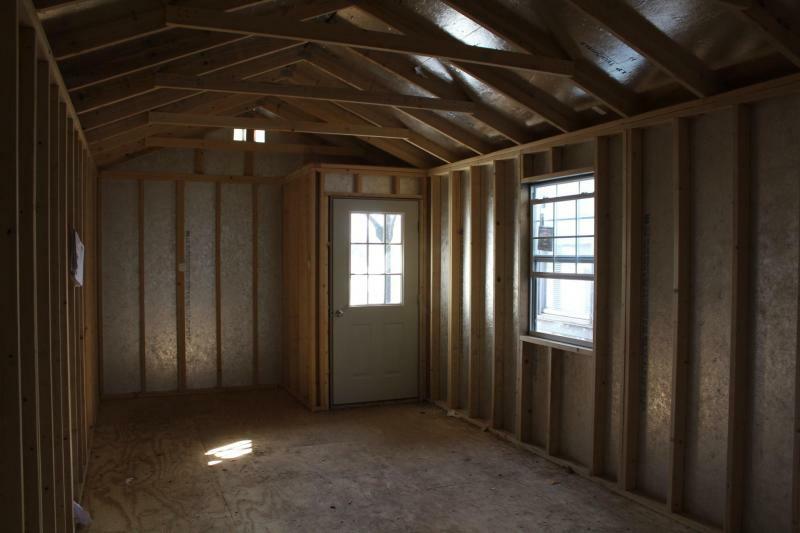 BUILT ON 16' CENTERS AND DOUBLE STUDDED EVERY THIRD STUD AND DOUBLE HEADER PLATE, (1) 2X3 WINDOWS AND A STEEL WALK IN DOOR WITH 9 PANE WINDOW.